You’ve all heard the story of Jamie Siminoff, creator of Doorbot, later renamed Ring, who was famously rejected on national TV on SharkTank, but then went on to create a wildly successful business. Earlier this year Amazon paid a reported $1 billion in cash for the business. 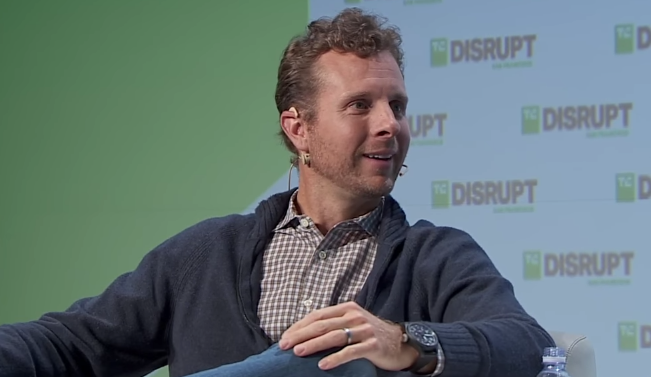 Recently, Jamie Siminoff, Founder and Chief Inventor of Ring, had a discussion with John Biggs at TechCrunch Disrupt SF 2018. If you can get acquired by Amazon your about as lucky as you get because they really do let you just keep going. Five years ago I was very much on the other side. I was on Shark Tank looking for money trying to get an investment. I did not get one on the show and now it’s funny because everyone says to me, well you were so smart not to take that money. I’m like no, I was driving back from there to my garage almost in tears broke. I actually needed the money. I think Shark Tank has been a great show for families. Families watch the show, people watch it with their kids, it’s aspirational, and it shows that people can do things. It obviously has to be entertaining because it is TV so you need people to watch it but I think it has been good for overall for startups in general. For Ring, we were Doorbot at the time, it gave us awareness and credibility that we never would have had that sort of jumped us up. It was a great platform for us to launch off of and we really used it. We turned out to be the largest company ever to be on SharkTank and it was it was a great experience. We were the consummate hustlers. Looking back at those days, you work the booth at TC, you go to CES, you just grind. You wear your shirt everywhere, you just grind and embarrass yourself. I think that level of a start-up at the beginning you almost have no shame. You have to just put yourself out there, get the stories out there, and get the name out there. You have to focus on the business, but you have to hustle. I always get asked by people that have a startup, what worked? What they really want is the one thing. They want me to tell them we did X, and then I can just go do X and be successful. The truth is it’s like 5,000 things that you have to do to make a successful company. The first thing though is you have to have a reason to be a business. At Amazon, they call it thinking from the customer. That’s starting with the customer and working backward. We called our customer’s neighbors, so we always start with the neighbors and it’s always around a mission to reduce crime in neighborhoods. As a company you should start with some core that says why am I hustling, why am I trying to track you down at CES to get you to write a freaking article? You have to have that reason. There are a thousand things you have to do and wearing the shirt yeah, it’s all these little things. Wearing the Ring shirt, for example, creates a conversation on an airplane with someone who asks a question and then that leads to something. My family’s laughed at me because I literally wore the Ring t-shirt almost non-stop for seven years! Why Did I Sell Ring to Amazon? Why Did I sell Ring to Amazon? You hear all this stuff like this did you sell out? The company was started with a mission to reduce crime in neighborhoods. From day one that’s been our mission. We’re going to reduce crime in neighborhoods by delivering effective and affordable products and services. We were working with Amazon on some integrations and other things and when Amazon came to us they had bought into the idea that the mission to reduce crime in neighborhoods made sense for Amazon on a strategic level. For Ring that became the best possible outcome, the fastest and most scalable with the best foundation. Amazon has enabled us to accelerate our business. It’s cool when you get inside Amazon. They really do start, and this is from Jeff down, with customer backwards and infinite truths. Are people going to want to have a safer home and neighborhood in 50 or 100 years? Yes. They look at these like bigger truths around things. When they’re making these big decisions it’s really about an infinite truth of something that can make a customer’s journey or life better. The truth of business is luck, luck, luck, luck, luck. I worked hard, I focused, I did everything right, but the amount of luck that happened along the way, getting on Shark Tank and having the right investors come when they did, having a house where if the freaking doorbell had reached to the garage I’d probably be here trying to pitch some other hardware thing in the roundup group. Especially at this scale, to build a business to the size that we have so far and to have that success I think luck is a huge part of it. Timing is not in your control, you don’t know what’s gonna happen next year or the year after and all of these things went our way. You know, luck.